Imagine going to work each day and being asked to crouch down on the hood of a car going 45 miles per hour. In addition, you are also equipped with a mechanism and asked to steer that car. There are no brakes. All you have is the steering mechanism and your hands. By the way, you also must weigh somewhere in the neighborhood of 106-114 pounds. Whether this sounds like a job you would enjoy, or one that scares you badly, you now have an idea of what it is like to be a horseracing jockey. Thoroughbred jockeys are pound-for-pound among the world’s strongest athletes. They must be able to guide a 1200 pound racehorse around a racetrack while steering clear of other horses, look for small holes in the pack that will allow them to vie for the lead, and have nerves of steel. The weight of a jockey is strictly monitored and regulated by racing commissions, and being overweight can end a jockey’s career. While most jockeys are able to maintain their weight in a healthy manner, some have struggled with eating disorders and other physical problems. Jockey Ron Turcotte guided the legendary Secretariat during his Triple Crown career. Many say that Secretariat was the greatest racehorse of all time, and Ron Turcotte was widely regarded as very important to Secretariat’s success. Today, Ron Turcotte rides a motorized wheelchair. In 1978, just five short years after riding Secretariat into the record books, Turcotte suffered an injury during a race at Belmont Park that left him a paraplegic. Ironically, the Belmont Park track was also the site of Turcotte’s greatest moment as a jockey when he completed the Triple Crown on Secretariat by an amazing 31 lengths. 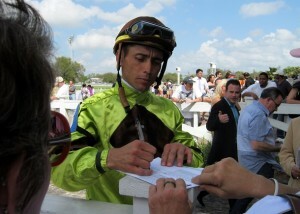 Being a jockey is also one of the most dangerous jobs in the athletic world. Ask any jockey and they will tell you that injuries are a part of the game. It isn’t a matter of if they will get hurt, it is a matter of when. Every jockey at some point in their career will suffer a significant injury. 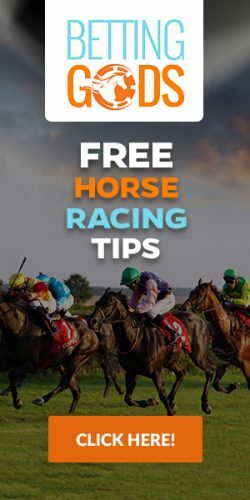 In this section of the EZ Horse Betting website you’ll find profiles of famous jockeys and some incredible jockey stories that will enhance your appreciation of jockeys as athletes and also of horseracing in general.